We offer international travel Visa processing for most the countries and specialize in India Visas. 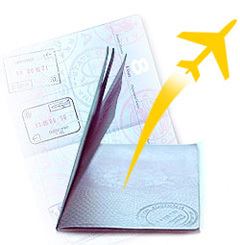 Our service is fast, reliable and focused exclusively on passports and Visas. Our rates are the lowest around. Haribhai Travel was especially set up to facilitate UK nationals and other nationals offering a comprehensive and reliable Visa/travel document service saving you time & money and avoiding long ques for hours at the consulate. Issued to foreigners who enter India temporarily for touring, family visiting or other personal affairs. 6 moths, 1 years, 5 years, 10 years multiple-entry are available. Issued to foreigners who are invited to India for business visit, research, lecture, scientific-technological and cultural exchanges. 6-month-multiple-entry, one-year-multiple-entry, 5 years, 10 years business Visa are available. eVisa India (eTV) is a travel authorisation that allows UK citizens to travel to and within India. It is a double entry electronic visa that allows its holders to visit India for tourism for up to 60 consecutive days. Contact us today to use our Indian Visa Application service.